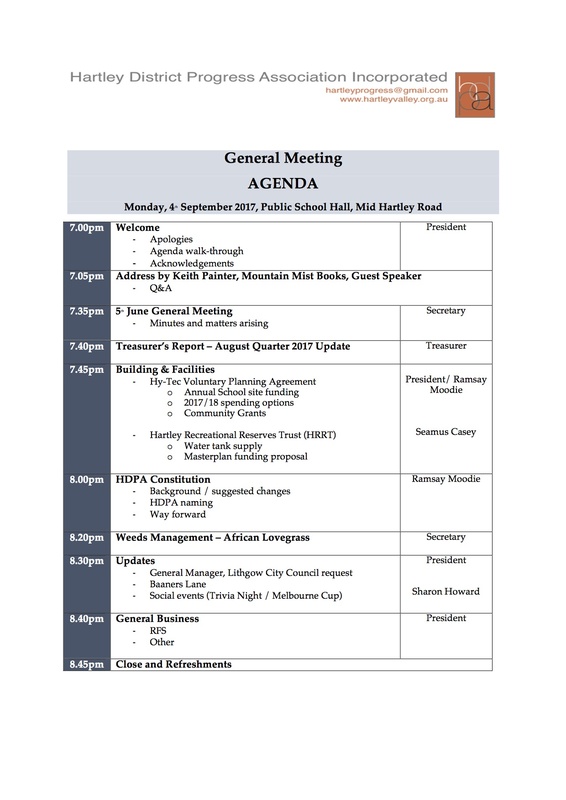 Our next HPDA General Meeting will be on Monday, 4th September commencing at 7pm at the Mid Hartley Road Public School Hall. Our guest speaker on the night will be Bathurst author and publisher, Keith Painter. Keith has lived in the Blue Mountains off and on since 1971 and has documented a range of local history and bushwalking guides which are widely available. “Keith recently published a definitive history on Hassans Walls and before that two acclaimed books on the Chert Mines of Mt Victoria. Prior to that he published a series of walking guides on the various walking track in the Blue Mountains and wrote the guide to the Cox’s road walks that were such a popular element of our 2013-2015 Bicentenary commemorations activities. Keith will talk about Hassans Walls with special attention to Finnigans Point and the connection to Finnigans Creek and the Finnigan family of Hartley back around the 1860s”. So, come along at 7pm and hear what Keith has to say and participate in the Q&A session. After Keith’s presentation, we will get down to discussing HDPA business from around 7.40pm.